With software increasing exponentially a lack of choice is no longer a problem. This article helps to water down the "choices" and focuses on how to make the right selection. Categorizing marketing software can feel like trying to define the latest craft beer style when your usual drink of choice is Bud. 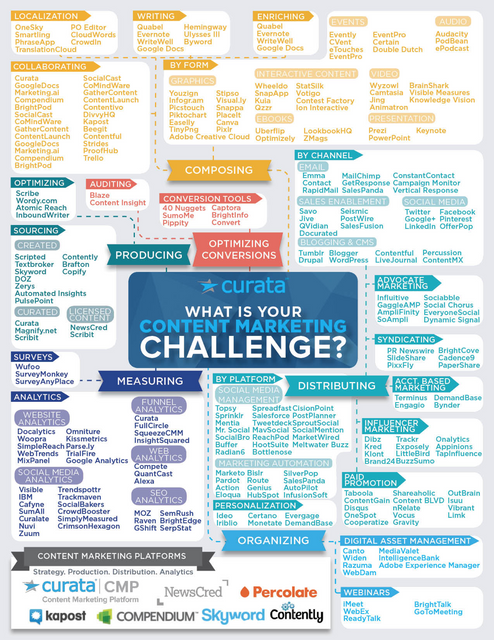 There’s a constant evolution of marketing categories, along with a lack of definition around content marketing software.